Christopher Alexander ARE ARCA (1926-1982) was a figurative artist of the highest calibre and certainly among the very best of his generation. 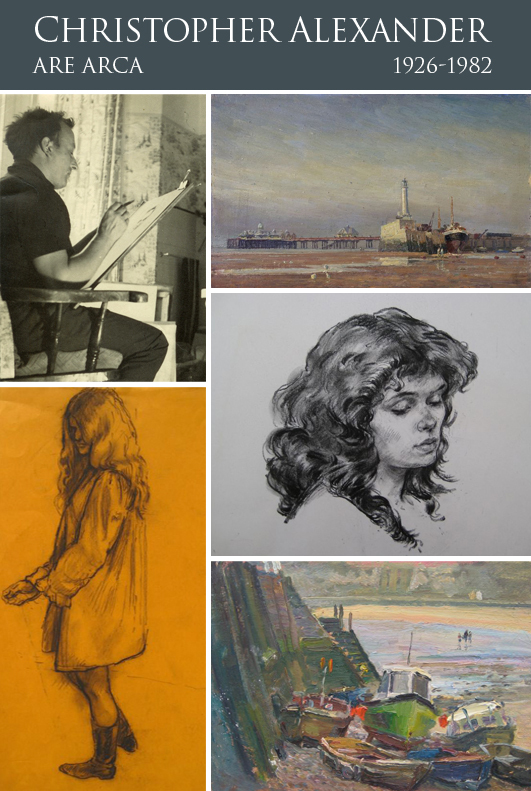 When he graduated he accepted a teaching job at Thanet School of Art and later he moved to Canterbury College of Art, where his particular specialism was figure drawing. An inspirational, amusing and dedicated teacher, he nonetheless found time to produce a phenomenal number of drawings and oil paintings. [mine] creative space and art gallery is delighted to be hosting the book launch alongside an exhibition of the original works featured in the book, many of which will be available for sale. The book and exhibition promise to be a rare feast for those who value top-quality figurative art.